Now, it’s written in stone, but in 2005, the world reacted to the news that Christopher Eccleston would not be returning in future series of Doctor Who. As if the hype surrounding the debut of Series 1 weren’t enough – what with the billboards, teaser spots, and magazine covers – the shock news that the Eccleston had quit the role guaranteed that the programme was now tabloid fodder, with banner headlines screaming of a crisis in the BBC. 2005 may have been the pre-Twitter age but there was no mistaking the uproar and insanity the news created. As such, it’s interesting to look back in hindsight at our comments from that time. The assumption that the departure had been settled on some time before (‘Christopher Eccleston made this decision months ago, and no doubt Russell T Davies and Billie Piper were aware of this.’) was surely correct. Indeed, the signs were there at the time. Eccleston had put in long hours working to promote the new series but carefully avoided giving anything resembling a commitment that he’d be back for future runs; Jonathan Ross was one of those to pick up on this after an appearance on his BBC1 Friday night show (remember that?). When asked in a radio interview whether he was “in this for the long haul”, the response was a rather telling comment (no doubt reflecting all those long night shoots and early starts) that he had already “done the long haul”, thanks very much. But it was the way the news broke, just a matter of days after Rose was transmitted and attracted huge audience figures that caused such a shock. The BBC were forced to hastily withdraw a statement that gave concern over being typecast as the reason for Eccleston’s departure, and showrunner, Russell T Davies accepted that the whole business hadn’t been handled well. 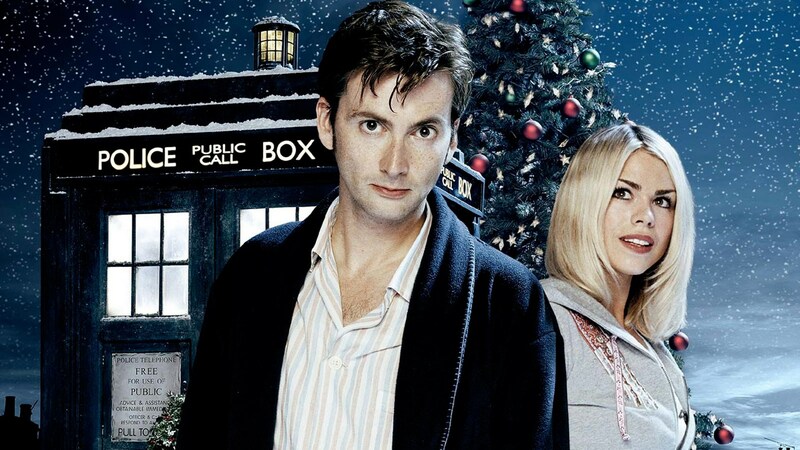 The corporation scrambled to reassure fans old and new that a succession plan was in place, with David Tennant all but confirmed to become the Tenth Doctor, and Billie Piper definitely returning for Series 2 as companion, Rose Tyler. 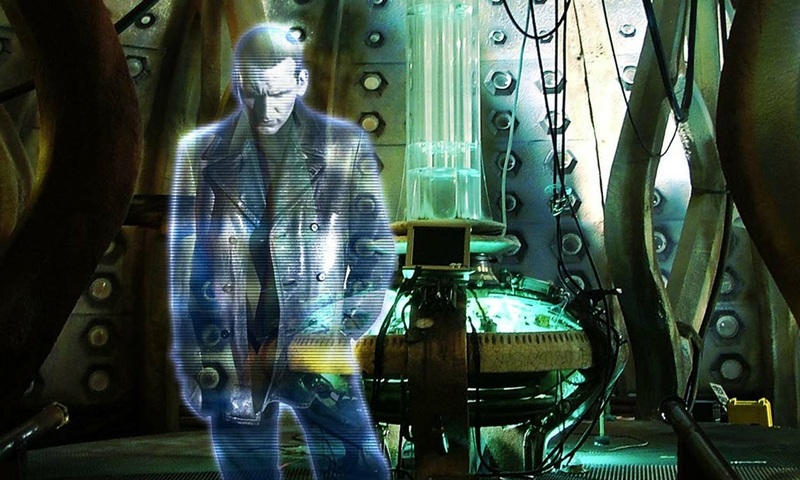 When it was first announced, many presumed that Eccleston had filmed the whole of Series 1 and then would return for the 2005 Christmas special for a regeneration. 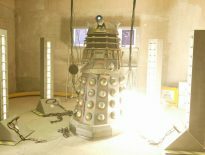 We now know that the producers had an audacious plan to spring a surprise regeneration on the audience at the end of Series 1. This surely has to go down as one of the great might-have-beens in Doctor Who’s history (just imagine if you hadn’t known that one was coming! ), and proved to be such a good idea that it would be tried again (well, sort of) in The Stolen Earth in Series 4. But instead viewers were left in the curious position of getting to know the new Doctor in the certain knowledge that his departure had already been determined. Since that tumultuous Easter (can it really be ten years ago?) 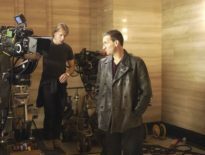 the exact reasons for Eccleston’s departure have remained oblique, although the man himself hasn’t shied away from giving a fair idea of them when asked. And it’s worth mentioning that, whilst proved impossible to tempt him back for the 50th anniversary story, The Day of the Doctor (although Steven Moffat did try) or persuade him to grace the stage at conventions, he’s been more than happy, in a low-key, quiet way to give the odd funny, charming comment for a celebratory event or to make a fan’s day by getting into character again for a wedding proposal. But at least we had 13 episodes with this great Doctor. He rekindled the fire. And yes, he regrets leaving the show. What do you remember of the announcement of Eccleston’s departure? Cast your mind back and tell us in the comments.